We have our costumes ready for Halloween this year and I am THRILLED that the boys have, once again, allowed me to coordinate their costumes so that we are "themed." The costumes were a CINCH this year! I feel certain that this is my last year being able to have much say in what they choose, so I'm considering it a win! I thought we'd travel down memory lane before we get to the big day! 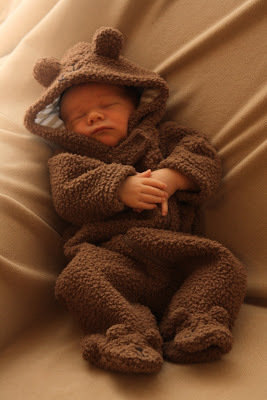 Sweet Baby James was just 11 days old and was so sweet in his bear costume. I picked it up at Carter's about a month before he was born. We never went anywhere, but I dressed him up for just a minute anyway. 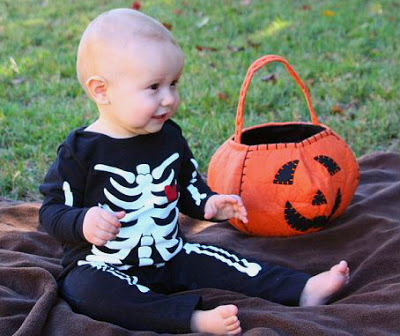 A skeleton this year for a one-year-old James. His costume was a pajama set. We went to our church's trunk-or-treat, but didn't do any trick-or-treating. James was a two-year-old monkey this year and he had Halloween at preschool, our trunk-or-treat, and we went trick-or-treating with our friends, the Blacks. 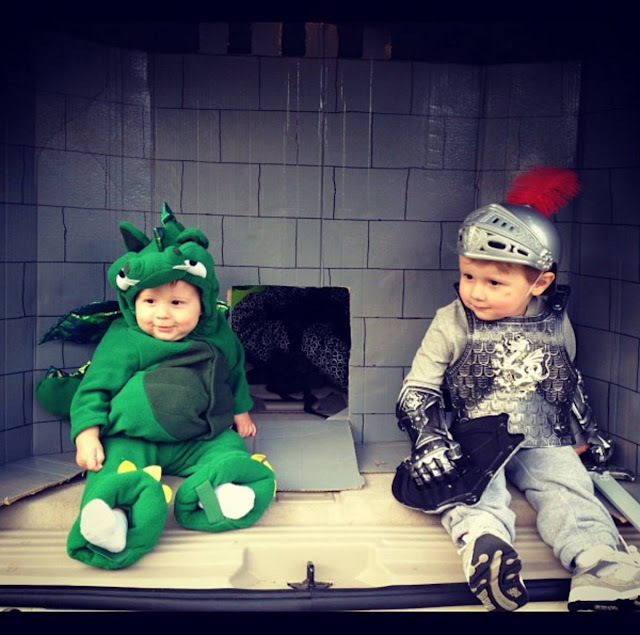 Baby Will joined us this year as an 8-month-old dragon to James' 3-year-old knight. This was my favorite year of ALL. 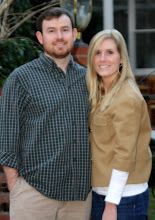 Aren't they precious? Another brothers-coordinated year! 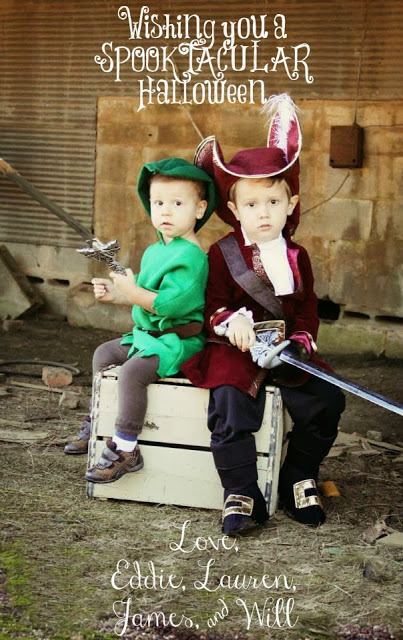 Peter Pan and Captain Hook! James was just barely four and Will was 20 months old. 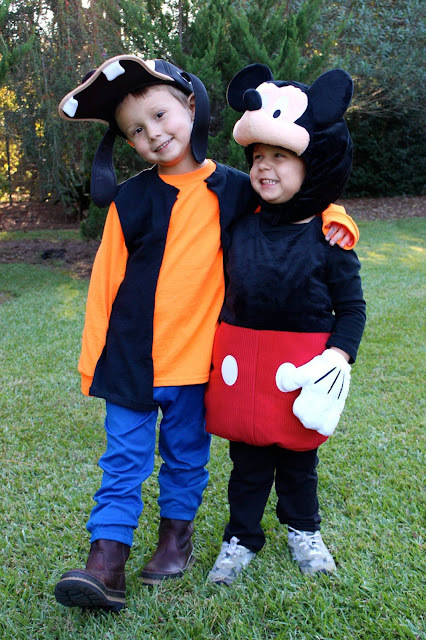 James' costume was straight from Disney's website and Will's was handmade by me. Mickey and Goofy! These were cute, too! James was five and Will was two-and-a-half. I think it was apparent that Mickey loved Goofy! 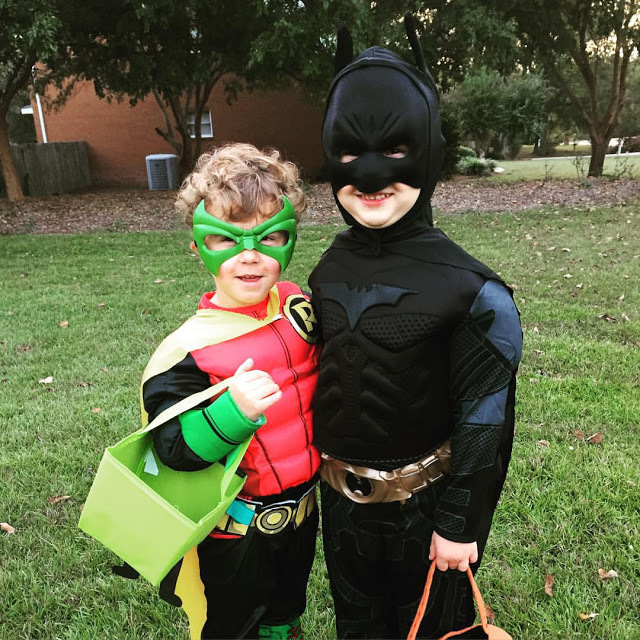 We were Batman and Robin obsessed at our house the previous year, so it made perfect sense to play the crime-fighting duo for Halloween! Will was 3.5 and James was 6 and in kindergarten! This year was a coordinated-stretch, but it worked! Theme? Baseball movies! 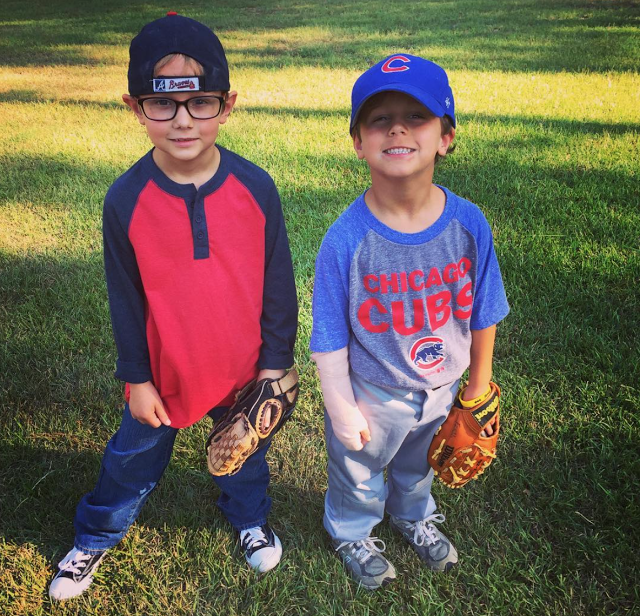 James (7) was Squints from Sandlot and Will (4) was Henry Rowengartner from Rookie of the Year. We watched Rookie of the Year ONE MILLION times in 2016. He was OBSESSED. The Cubs won the World Series just after Halloween so that was an added bonus for his costume! I can't wait to share our costumes this year! We're ready to Trick or Treat! So cute!! I just noticed the ruffles on the bottom of Will's brown pants that year! Made me giggle!! !